Tell what Urban Design of Japan should be as the population ages and fewer babies are born? Newly ambitious urban perspective proposed by Hidotoshi Ohno Laboratory, University of Tokyo to use a peculiarly Japanese transportation infrastructure. 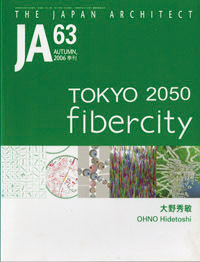 This issue can be used as database when thinking about urban with full of information.